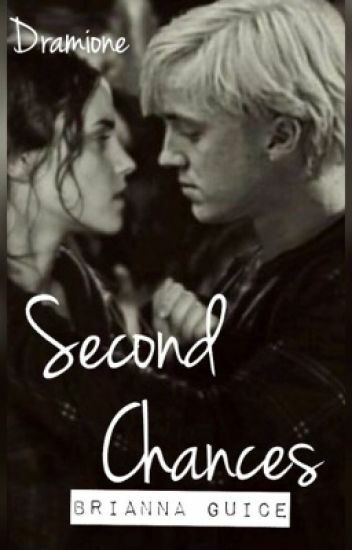 This is a story about how Hermione Granger and Draco Malfoy come to realization that they are soulmates but not before they go through heartbreak in their current relationships that bring them closer to together. This is my first Fan Fiction Novel and I hope you like it I'm gonna make it as good as I can! Just bare with me and please leave your comments. I love Harry Potter and I'm thrilled to write this story. Ill keep you all updated as I write each chapter. Dani is a young 16 year old werewolf and all her life she's been trained and controlled by her whole pack and family.Her brother the beta treats her nice in front of others but behind it he hates her! Her mate happens to be the alpha! He accepts her with a smile and Dani thinks it is her chance to finally be free with her mate! But the alpha only accepted her cause he didn't want a bad image and he thinks she is ugly. She escapes as her mate gets too controlling in everything! She ends up in the strongest pack  and from that moment on she decides to take her life in her own hands .But three years later ,she has to go back to her old pack.There is a problem though. She doesn't care and doesn't give a damn about her old pack. Just some depressing quotes I made. Hope you enjoy. Madeline expected the man to get the coat but the man still hasn't come for the coat after a few days she checked the coat to get a clue of the man's identity so she could at least give it to him herself. When Madeline gets a clue, she seeks help from her mother but her mother refuses to help without giving any reason so Madeline decides to get to the bottom of the matter herself. Along the way, Madeline uncovers more about the man and the relationship between her mother as well as being thrown into the crossfire between mafia fights and love. Hermione encounters with some  strange dreams from the day she discovered that potion from Hogwarts potions room. It became more complicated when the Dark side  rises. When the time arrives,  the secrets behind the potion are revealed. Will it help the trio to win the battle...? Will Hermione bear the truth...? Will it be a happy end...? Two sister's, Maddie and Winter, go on a confusing adventure. One finds love, then loses it. Who killed their mother? Why did their father come back? Would someone really kill? Of course, the girls are vampires. Go on this twisting tale and see what happens. And remember, everyone has secrets. WARNING: some blood and gore. DISCLAIMER : i do not own anything from harry potter, i only own the characters i make and stuff i make. everyone who were in their final years were invited back to hogwarts for their last year, but what if they had been put in a new class? PLEASE READ****This has a lot of parts from the actual book written by J.K. Rowling and from the movie script written by Steve Kolves****** I am making this a HUGE point. I am merely writing from Hermione's perspective with my own twist. Everything, characters, plot, and actual writing goes to the amazing J.K. Rowling and Steve Kolves. The Goblet of Fire from Hermione's point of view with a twist. She's tutoring Draco Malfoy... What will happen? This is just a book that holds quotes from the novel Insurgent by the amazing Veronica Roth, so credit to her for all the quotes! I will try to update often. Thanks for checking this out.